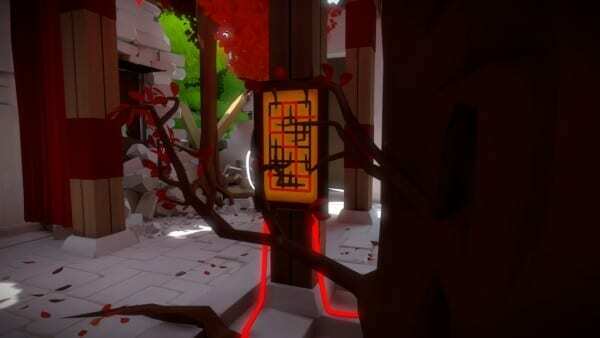 Activating the laser at the Tree Temple. The Tree Temple is located on the southern part of the island, past the windmill and the central tower. 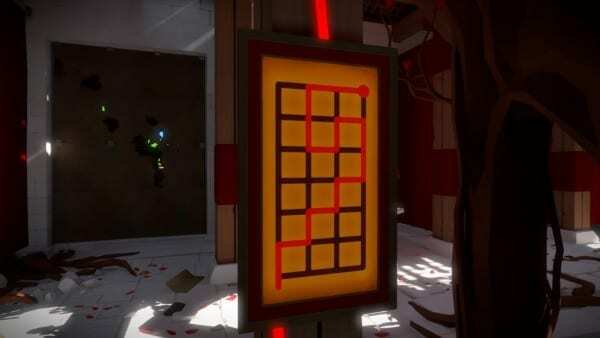 Inside there is a number of puzzles that need to be solved to activate the area’s laser – one of the key things that needs to be done to complete The Witness. 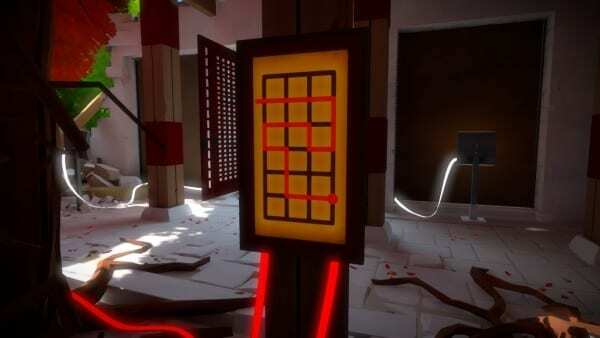 As you approach the front entrance of the temple you will see two very simple puzzles on either side of the door. Both are straight line puzzles that will open the door upon completion. 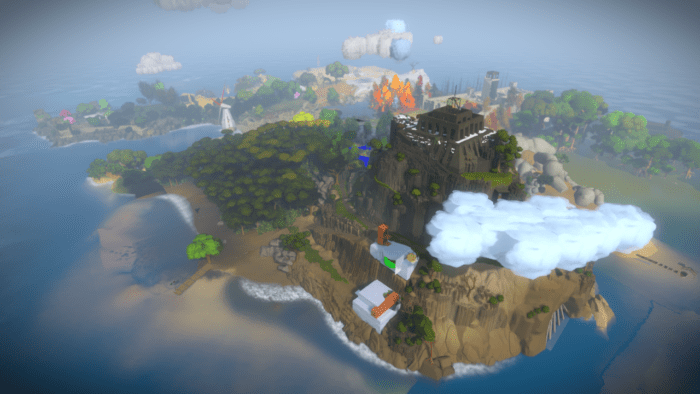 A map of the island in The Witness is below. 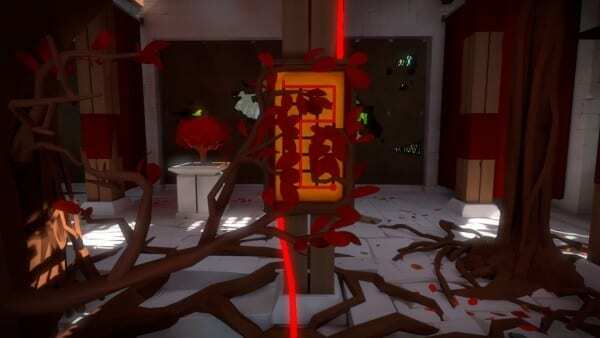 Once the door is open, walk inside and to the other side of the room where you will find a stand with a puzzle and small red tree on top. The puzzle has two starting points and two ending points but only one of each must be used. 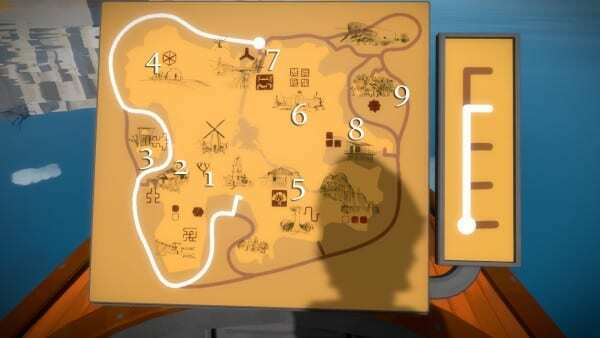 There are also two black dots that must be passed through to complete the puzzle. Keep in mind that the tree will block any line you draw so you cannot go behind it. Move round to the left of the stand, facing the small red tree, and draw the line from top left to top right, making sure you pass through the two black dots. This will open the shutters that cover the right hand side of the room, in front of you when you’re by the stand. The shutters will open slowly, revealing three cutouts of trees directly infront of puzzle boards that are outside the temple. 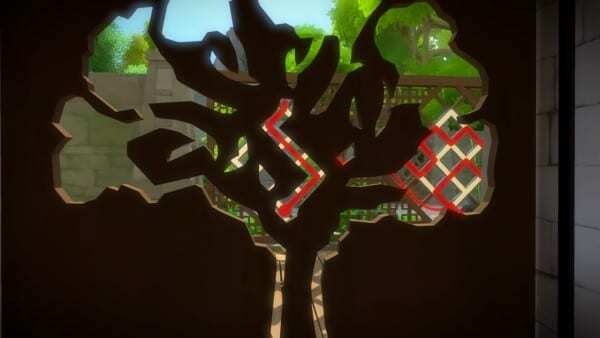 The aim of the puzzles is to draw the line as you can see it through the tree cutout. Any other solution will be incorrect. The solution to the first one (to the left of the three) can be seen through the lightning bolt shape in the centre of the tree. That is the first completed, but it is by far the easiest. 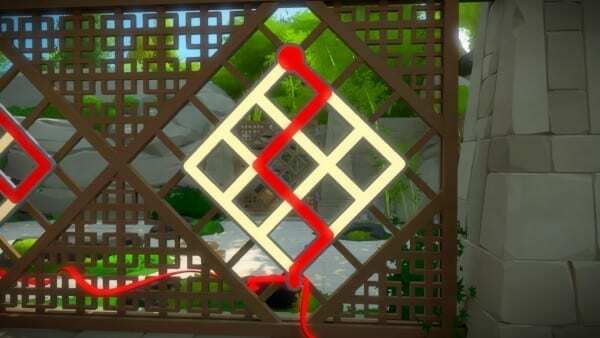 The Witness always starts things off easy. Move to the right to the next tree shape. 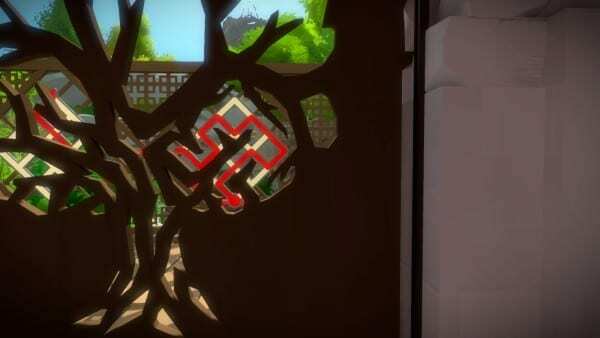 You will want to look through the right hand side of the tree, where one branch sticks up diagonally left through the puzzle. See the solution below. 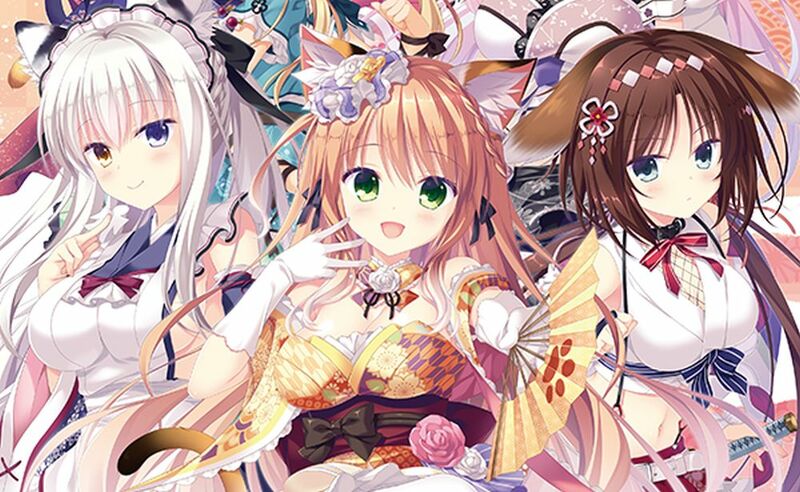 That is the hardest of the three completed. That is the final puzzle inside. Head to the statue outside the temple, at the rear of the area. On the wall facing the back gate is a simple puzzle that doesn’t need explaining. Solving that will lead to the laser coming out the top of the statue and the laser will be activated. A gold trophy will also unlock. 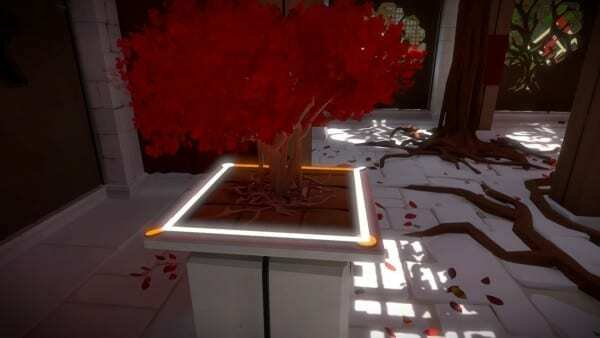 The tree temple is one of the shortest but most difficult areas in The Witness that requires precision to complete.